Is James Horwill the biggest goose in Australian rugby? A former Queensland captain and former Australian captain, he’s now been red carded twice in seven games this season. Last week, with his team heading into the game with a 1-5 record, Horwill managed to get sent off after 20 minutes against fellow strugglers the Melbourne Rebels. The Queensland Reds were comfortably up on the scoreboard, and had all the momentum you could wish for, when Horwill decided to clench his fist and clean out Paul Alo-Emile with a swinging arm to the prop’s head. In a normal year this would be unacceptable. In a World Cup year…? Well, I think we’ve seen the last of Horwill in gold. He’s been given a one-match suspension and the Reds have declined to take him on tour to South Africa. The road to regaining trust is a long and unsteady one. Unfortunately for Horwill, he doesn’t even seem to have found it yet. Amazingly enough his antics paled in comparison to the efforts of Canterbury Bulldogs duo Dave Klemmer and captain James Graham, who have both been suspended for abusing the referee. Graham got four weeks, Klemmer three, after both verbally attacked referee Gerard Sutton for his decision to award South Sydney a penalty after Graham attacked the leg of Adam Reynolds (injuring him in the process). That wasn’t it for the night, however, with Bulldogs fans hurling bottles at referees after the match, leading to a broken shoulder for one official, and yet another PR nightmare for a code that’s had its fair share. The way the referees in the NRL are treated is an absolute disgrace; that it’s tolerated by the games’ administrators is pathetic. Hopefully this is the wakeup call they need to set about getting their heads screwed on straight. And while we’re on the stupid stuff players do, Geelong’s Stephen Motlop has been suspended by his club for a week following the discovery he’d been having a few beers on Good Friday, just days before the clubs’ opening match against Hawthorn. Motlop was attending a local football match — unfortunately for him the brother of Hawthorn captain, Luke Hodge, was playing and noticed Motlop getting a couple in him. Word got back to Hodge and the Hawthorn players, who might have (READ: gave him what for) mentioned it to other Geelong players during the match on Monday. Motlop was confronted about this by his club, owned up and was subsequently suspended. Superb dobbing by the Hawthorn boys, ridiculous lack of professionalism from Motlop. Let no one tell you these are grown men. Working for both the BBC and Channel 9, Benaud became the voice of cricket, the voice of summer. I end this piece on a note of sadness with the news that great Australian cricketer and commentator, Richie Benaud, has passed away as a result of his struggle with skin cancer. Richie Benaud was one of the first great all-rounders of the game. Proficient with both bat and ball, Benaud was the first player to reach both 2000 runs and 200 wickets in Test cricket. His mastery of leg-spin had him sitting as Australia’s leading wicket taker, not to be overtaken until Dennis Lillee many years later. Richie Benaud is regarded as one of the finest captains the game has seen, never losing a series in which he led. It was as a commentator where he reached his absolute peak though. 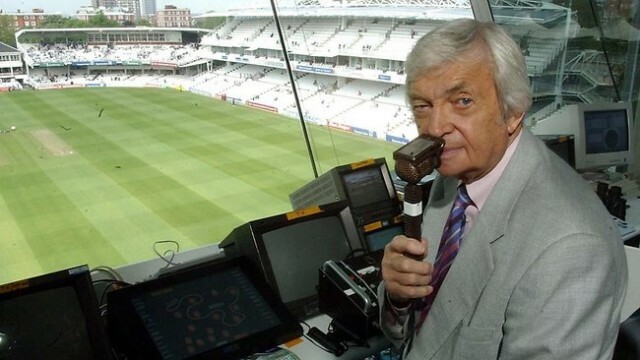 Working for both the BBC and Channel 9, Benaud became the voice of cricket, the voice of summer. As the game changed around him he remained the same: calm, thoughtful and honest, with a wry smile on his lips and quiet one-liner the tongue. Who can forget his reaction on watching a batsman felled by a blow to the box? The loss of Richie Benaud will be keenly felt in the days, months, years and decades to come. The world is a little darker today, a little less happy. We’ve lost a man who encapsulated everything it is to be an Australian. Benaud was kind and decent and generous. A man who played hard and fair, who was quick to laugh, and who was happy to take on whatever life happened to throw his way. I don’t know what peace the afterlife has to offer any of us, but I like to imagine Richie Benaud up in the grandstands one last time, watching a cover drive unfurled across the green.